Help, how to topics > Print reports > How to save view, order, search definition in the designed report? How to save view, order, search definition in the designed report? Use Save with View to save the sort criteria and the list of displayed items in a report definition. 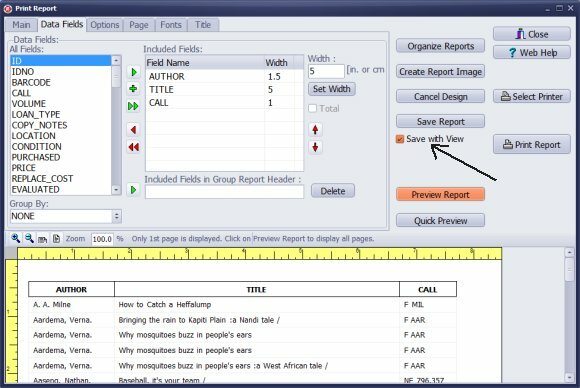 Define the layout of your report (select data fields, set the widths, select fonts, page margins and some other report options). 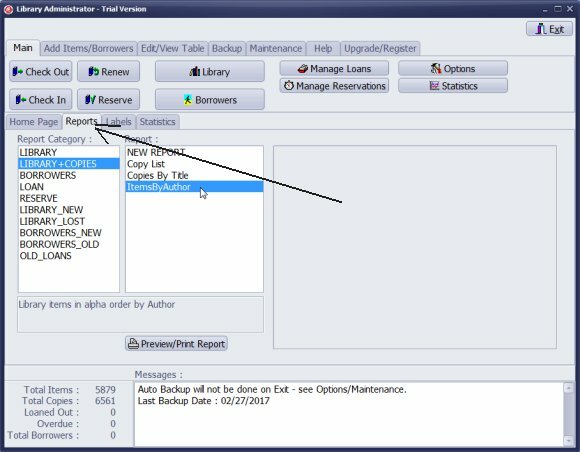 Select Save with View option. All saved report settings are used when you run the report from the Library Administrator. When you run a predefined report from the data display window, the predefined report is using the current sort or record display options.